In a stunning reversal of direction, General Motors has decided to release the all-electric Chevrolet Bolt to car-buyers nationwide. The long-held plan was for the Bolt, and the Spark as reported by Gildshire just last week, to be available only to drivers in California and Oregon. Charge and range laws make many all-electrics incompatible with those state’s roads. This week, the news reported by Motor Trend confirms the nationwide release of the Bolt. 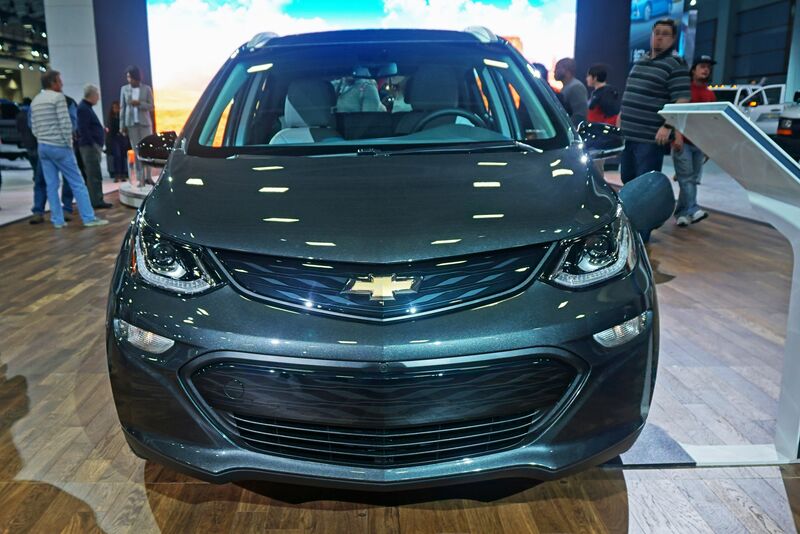 Priced at $37,495 before tax credits, the Chevrolet Bolt comes standard with more than a few amenities not expected in a car its size. A 10.2-inch touchscreen, and SiriusXM satellite radio is an entertaining start. Push-button starting, and six-way manual adjusting front seats are convenience and creature comforts. OnStar with 4G LTE Wi-Fi is a security feature. An electronic transmission selector with “Low Mode” for regenerative braking helps keep the Bolt all-electric. Those are standard features in the entry-level Bolt! Premier models come with front and rear heated seats, a heated steering wheel, surround camera system, and other features. The Bolt’s battery range EPA-estimates 238 miles on a single charge. General Motors has been mostly silent on the motivation for the change of corporate mind, but Nissan is likely a reason behind the scenes. Nissan’s new Leaf EV, featuring improved range from the previous version, will launch in all 50 states starting in early 2018. Chevy’s Bolt announcement, on the heels of Nissan’s Leaf reveal, can’t be a coincidence. The two carmakers have thrown electric car haymakers at each other for over half a decade. This week’s dueling announcements are another exchange in the middle of the ring. Car purchasers, though, should be heartened by the all-electric war being waged by two of the automobile world’s heavy hitters. The war means that electric cars are being taken seriously, after decades of being seen as an experiment at M.I.T. The nationwide availability of the Chevrolet Bolt is something to notice, and watchers of the industry will, in fact, notice. However, there is more to come. Analysts watch the increased sales numbers and the greater availability with interest. They see increasing numbers of charging stations (and legislation thereof in places like Washington State) with a raised eyebrow. However, it is a tipping point number that electric-car enthusiasts await. That tipping number is 400. When an electric car can transport a family 400 miles on a single charge, something seismic will happen. The general public will then consider electric as they never have before. The 400-mile number means the family car can go all day! Watch what happens then. We will. Follow this space.